Winning means more with 888sport! If backing a winner at a decent price wasn’t sweet enough, we’re making it even better by crediting you with a £5 Free Bet when you land odds of 4/1 or bigger (min bet of £10)! And you can take advantage of this offer once a day, every day, no matter the market! The following are the terms and conditions of the "Win Win" promotion (the "Promotion") for www.888sport.com (the "Website"). The Promotion is organized by The Promotion is organized by the company (as defined in the User Agreement applicable to you – please see below) ("us" or "we" or "our" or "Company"), who is the operator of the Website. Your participation in this Promotion shall be deemed to constitute your complete acceptance of the provisions below. The Promotion shall commence on 5th October 2018 and shall conclude on 30th June 2019 (the “Promotion Period”). However, in exceptional cases we may conclude the Promotion before the end of the Promotion Period or may prolong the Promotion Period, including without limitation, where required for security reasons, to comply with applicable law or regulation, due to abuse or otherwise where the promotion is not capable of being conducted as specified as a result of exceptional circumstances. Members can earn a £/€/$5 Free Bet Token by placing a qualifying bet. A qualifying bet is a ‘real money’ stake of at least £/€/$10 at odds of 4/1 (5.0) or greater placed on any market. Multiple bets qualify with cumulative odds of 4/1 (5.0) or greater. Only bets that are settled as a ‘Winning’ Bet will qualify for this promotion. Each way bets count as two bets and must be at least £/€/$10 each way (£/€/$20 in total). 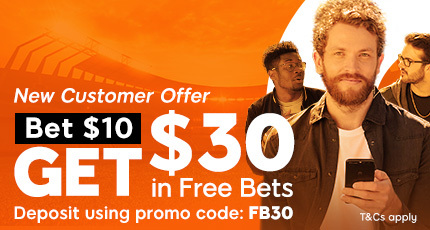 Free Bet Stakes and Bets placed with Winnings Boost Tokens are not eligible for this promotion. Cashed Out and Void Bets will not count as qualifying bets. Qualifying bets must be placed and settled on the same day to qualify. Members can only receive each prize once during each qualifying period. For example members can claim 1 Free Bet Token each day. Members will be able to claim the relevant prize after bet settlement through the promotional pop-up once logged into the account. Members must claim the relevant prize within 7 days of the qualifying bet settlement. Free Bet Tokens expire after 7 days. Free Bet Tokens cannot be combined with ‘real money’ stakes. Bets placed with Free Bet Tokens cannot be cashed out. Only 888sport accounts registered in the United Kingdom are eligible for this promotion. In exceptional cases, 888 may conclude promotions, bonuses or special offers before the end of advertised period or may prolong the period of a promotion, bonus or special offer for example due Only 888sport accounts are eligible for this promotion. Company reserves the right to withhold or retract any free bets and winnings generated if free bet tokens are mistakenly credited or patterns of abuse are found. Company's offers as contemplated hereunder are intended for recreational players and Company may limit the eligibility of customers to participate in any Promotion. 888sport may vary or cancel any promotion, bonus or special offer at any time. Other than where necessary to prevent fraud or other similar unlawful behaviour, any such variation or cancellation will not apply to you if you have already opted into the promotion, bonus or special, made a deposit in expectation of receipt of a bonus or other benefits offered, and/or commenced play in relation to the promotion, bonus or special offer prior to the date of the communication of the variation or cancellation. You hereby agree to these terms and conditions which govern the Promotion, along with the " UK User Agreement " which includes but is not limited to the " Bonus Policy ". • You deposit balance (defined as Transaction Balance under our Withdrawal Policy) is available for withdrawal at any time. General withdrawal terms apply, for further info see our Withdrawal Policy . • You hereby agree to these terms and conditions which govern the Promotion, along with the " User Agreement " which includes but is not limited to the " Bonus Policy ". • The amount you are able to withdraw from your account is subject to minimum and maximum limits. If your withdrawal request is for less than the relevant allowable amount, the funds will be returned to your bankroll. You can find details of the minimum and maximum withdrawal limits in the " Withdrawal Policy ". 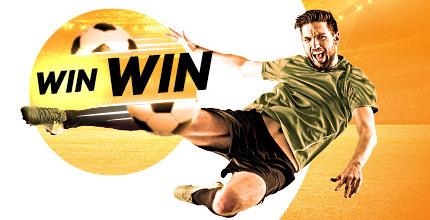 full T&C’s apply Valid on between 5/10/2018-30/06/2019 • Min Bet Min Bet £/€/$10 • Min odds 4/1 • Free Bet credited upon bet settlement • Free Bet expire after 7 days • Limited to 1 token per day • Withdrawal restrictions and Full T&C's apply.